Round tablecloths in different colours & sizes for weddings & events. Square tablecloths in different sizes & colours for any banqueting event. Fabulous range of rectangular tables to suit different trestle tables. 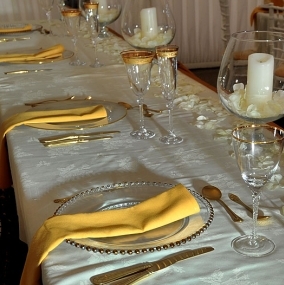 To complement our range of dining tables, naturally we offer matching tablecloths for hire. These tablecloths are available in a range of different sizes, shapes and colours, to match your event furniture and your event decor. 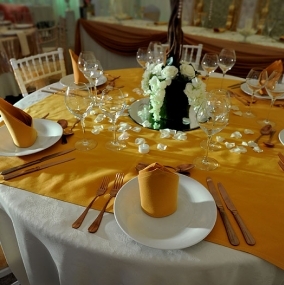 To hire tablecloths in the quantities you need, contact the furniture hire specialists right here at Event Hire UK. Manufactured from a luxury blend of cotton and polyester, our classic linen for hire will add that touch of elegance and sophistication to your table setting. 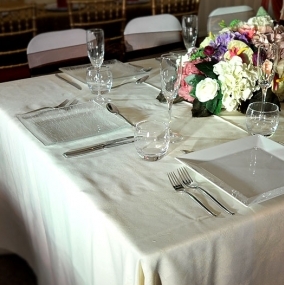 Our range of table cloths for hire perfect complement the selection and size of tables for hire that you will also find on our website, so take a moment to consider your table size and then select the table cloths you need to hire as well. In this section you can hire round table cloths, find square table cloths for hire and also hire rectangular table cloths for your special occasion event. These are available in different sizes and colours, according to your size requirements and colour scheme. All linen from Event Hire UK is cleaned and pressed prior to dispatch from our sales and distribution centres in London, Birmingham, Manchester and Bradford to ensure that you receive linen hire that is table ready for your event. Allow us to work with you to make your event a complete success. Read our blog and testimonials to find out how we are currently successfully working with other clients - large and small - and how we could help you.